Splenda has taken the market by storm since it’s introduction in the US in 1999. It has overtaken Equal as the artificial sweetener of choice. 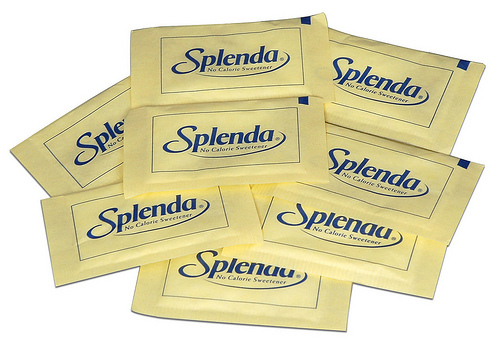 In 2006 Splenda earned $212 million in the US. 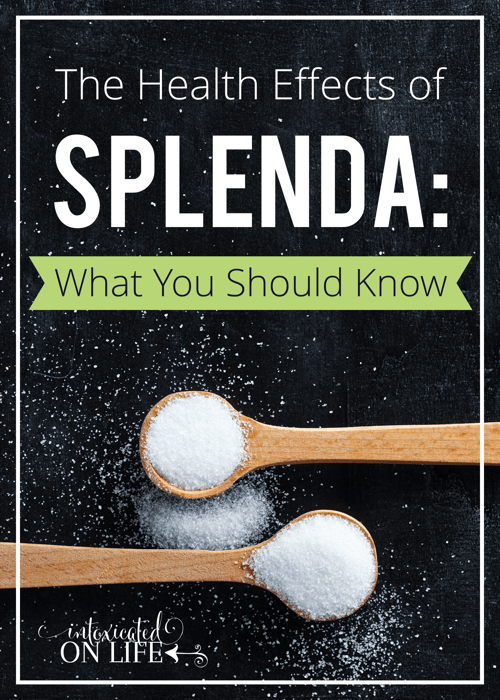 Even if you don’t purchase Splenda, it’s primary ingredient sucralose is probably in a number of products you already consume including: yogurt, ice cream, jelly, sugar-free drinks, canned fruits, nutrition bars, sugar-free cookies, and other snack foods. 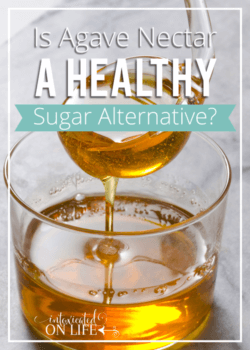 Given the popularity and the predominance of Splenda in many foods purchased at the grocery store, I think it’s worth taking a good look at this controversial sweetener. Is Splenda a “Natural” Sweetener? Made from sugar so it tastes like sugar! You may have heard this tagline in a commercial for Splenda. It’s made from sugar, so it must be a natural sweetener, right? 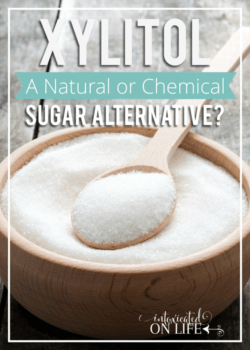 Despite the fact that the process for making sucralose (the key ingredient in Splenda) starts with sugar it is not and can not be labeled as a “natural” sweetener. 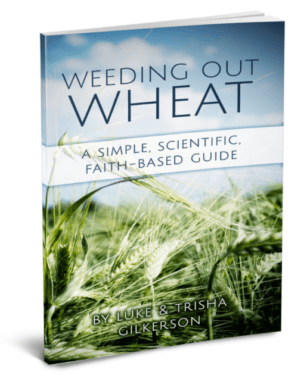 The reason is the molecular structure of the sugar is modified in a very significant way. The sugar is essentially chlorinated. The patented process to which Splenda manufacturers allude adds 3 chlorine molecules to create the compound sucralose. Proponents of Splenda claim using sucralose results in no risks and only benefits: decreased calories, reduced body weight, control diabetes,and other diseases. Other researchers and health professionals are more skeptical. I think it’s first important to examine the evidence the FDA had when they approved sucralose for sales in the US. 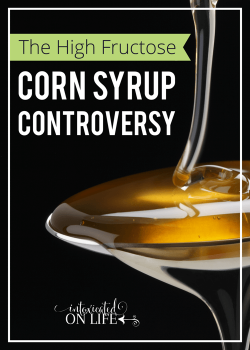 It is true the FDA reviewed 110 studies on sucralose prior to FDA approval, but there were just two human trials that had been performed at that time. Between these two trials, there was a grand total of just 36 subjects with only 23 of the subjects receiving sucralose (not exactly what you would call a large experimental group). Sucralose was not consumed for more than 4 days in either one of these trials (not exactly an experimental period that can delve into long term impact). Since the approval of Splenda there have only been 4 more human trials, the longest one lasting only 13 weeks. This 13-week long study involved just 8 human subjects, and all measures of health were found to be unaffected by consumption of Splenda. Researchers firmly pronounced, “There is no indication that adverse effects on human health would occur from frequent or long-term exposure to sucralose at the maximum anticipated levels of intake.” Despite this pronouncement, it is still accurate to say there have been no long term human safety studies on the consumption of Splenda. Of the 110 studies the FDA reviewed, the remaining were animal studies. Since then, there have been many more studies utilizing animals looking at the safety of sucralose. Some of the studies don’t find any problems with sucralose, or the impact results in no significant difference, but there have been a significant number of studies that have had some rather alarming results. A Duke University Study published in the Journal of Toxicology and Environmental Health discovered that sucralose in rats reduced the healthy intestinal bacteria needed for proper digestion and also impacted the effectiveness of medications. Food and Chemical Toxicology published a study that showed the consumption of sucralose in rats resulted in shrinkage of their spleen and thymus. Some researchers believe sucralose may be linked to inflamitory bowel disease. And other researchers speculate sucralose may be responsible for triggering migraines in some people. Certainly, we must acknowledge that outcomes in animals do not always correspond to those in humans, but we have little else to go on at this point as there have been precious few human studies and those that have been done have been done in such a limited time frame. There is antedotal evidence that there is at a minimum, short term side effects resulting from the consumption of Splenda. Common reported side effects include: gastrointestinal problems, skin irritation, migraines, seizures, dizziness, heart palpitations, blood sugar elevation, blurred vision, allergic reactions, blood sugar increases, and weight gain. Sucralose itself does not have any calories or carbohydrates that are usable by our bodies, but there is dextrose and maltodextrin added for bulk. Splenda comes in packets and granulated in a larger bag. 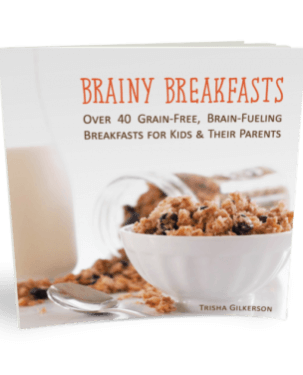 There are 3.36 calories and 0.5 grams of carbohydrates per packet (with the approximate sweetness of 2 teaspoons of sugar). The granulated splenda measures cup for cup like sugar and has 4 calories and 0.9 carbohydrates per 2 teaspoons. Splenda is able to advertise as a 0 calorie sweetener because of an FDA labeling “loophole” whereby products with less than 5 calories per serving are allowed to label their foods with 0 calories. 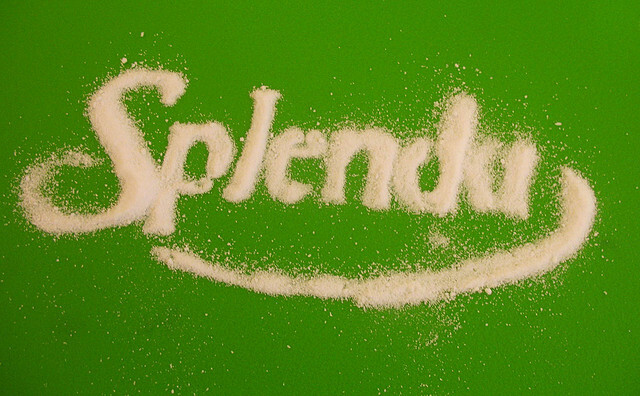 The impact of Splenda on your blood sugar is debated. There are some individuals who report seeing blood sugar spikes after the use of Splenda, but the Splenda website claims otherwise. 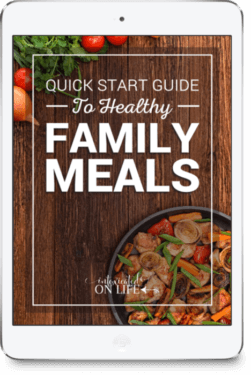 If you are interested in using Splenda, but want to make sure it’s not impacting your blood glucose levels, it would be safest to use a blood glucose monitor to test how your body responds to this artificial sweetener. Many claim that Splenda tastes very close to sugar (unlike other popular sweeteners like Sweet n’Low and Nutra Sweet), but I personally still think it has a weird artificial sweetener taste. I suppose it all depends on your taste buds. When I have used Splenda, I have tried to combine it with other sweeteners as this seems to give a taste that is closer to sugar. Splenda comes in concentrated packets (approximately equivalent to 2 teaspoons of sugar) or granulated form which can be measured cup for cup like sugar. If you are making something that requires a large volume of sugar like fudge, frosting, or cakes, Splenda alone will probably not do the trick as it does not have the volume required to hold up the structure of these items. In this instance, you would probably be better off only substituting 25% of the sugar for Splenda in the recipe. Unlike many other artificial sweeteners Splenda does hold up under heat for baking; it’s stable up to 450 degrees. If using Splenda you should also keep in mind that it does not brown or carmelize like sugar, so your baked goods may not brown as nicely in the oven as if you were using sugar. Honestly, I don’t know if it will cause any long term harm when used in your diet as the data is mixed and in my opinion quite lacking. 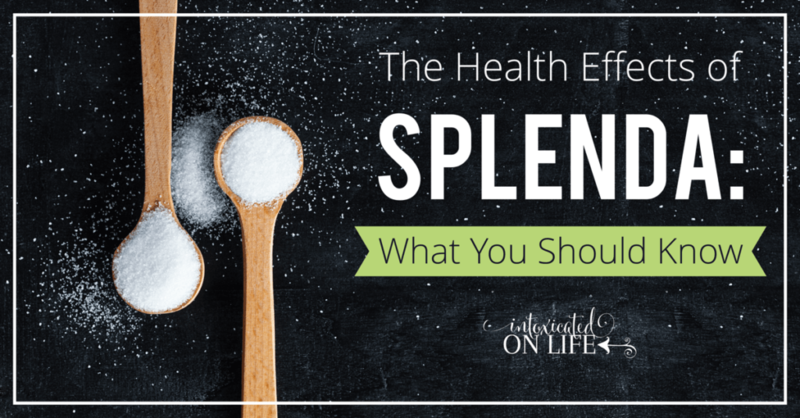 I have been trying to avoid Splenda, especially considering that there are a number of wonderful natural alternatives for sweeteners—sweeteners that have little to no impact on your blood sugar and actually have health benefits. Choosing natural versus man-made is always the way to go. That goes for not just sweeteners, but for all of the foods you consume. I personally don’t think that Splenda tastes like sugar and from both a health and taste standpoint I wouldn’t choose to use Splenda. I think there are far healthier and tastier option to choose from. I’ll be posting about one of those options next! So glad you posted this. That stuff is so disgusting and bad for you!! I’ve never been a big fan of it (taste wise), but doing the research for this post really opened my eyes to how dangerous it might be. Just not worth the risk. I avoid artificial sweeteners as much as I can. Never really looked into, just didn’t seem like the best thing to do, and I don’t like the artificial taste. now I have real reason! Certainly as a diabetic, and really in my opinion all of us, should watch blood glucose levels. But like you said, there are good natural alternatives. I’ll be hitting on some of them in the coming weeks, so I hope you’ll watch for the posts! I definitely needed this! I haven’t had Splenda since I’ve been preggers, but my goodness, I’ve eaten waaaaay too much of that stuff in the past! 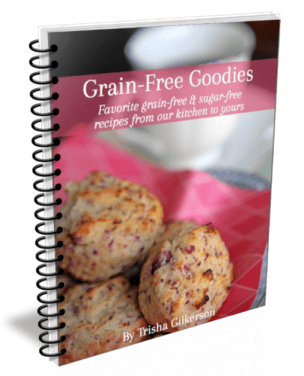 I’ve eaten my fair share, especially in the pre-packaged sugar free foods. Since we’ve pretty much eliminated all of the prepackaged junk, it’s also eliminated my Splenda consumption. Looking forward to the next posts. Right now we use splenda is our coffee (and that’s all we use it for) because I don’t know what would be the best. I did try stevia but somehow ended up with a vanilla flavored one (ick). However, I doubt a few teaspoons of it each day will kill me, but I am willing to switch. I doubt you’ll have any serious side effects from a couple teaspoons a day either. Stevia is a great alternative, but I’ve found the brand does matter. I like the NuNaturals pure stevia extract. You just need a teeny tiny amount though!